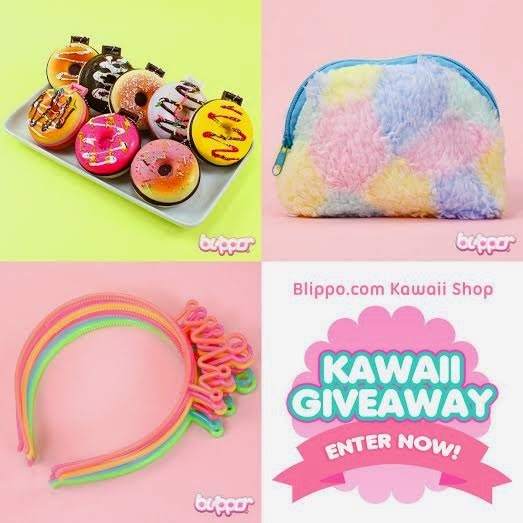 And now the BEST PART: Me and Blippo Kawaii Shop teamed up for a super duper kawaii giveaway! You can win a cool glow in the dark crown headband; perfect for every party, a cuuuute fluffy pastel purse and a squishy donut charm/pocket mirror! HOW COOL IS THAT?!?! OMG that is just soooo cute!!! I love Pusheen!!! sooo.. cute. soes are very cute. Those donuts are EVERYTHING!!! OMGGG!!! I have some of them and I'm sooo obsessed and mine smell really sweet----it's incredible!!! LOVVVE those headbands too! Cute things *-* Blippo is so kawaii!